Mmmmmm yummm. The smell of coffee is intoxicating. It really is so good! And what about all of the antioxidants, isn’t coffee proven to keep our mind sharp? Coffee is one of the foods (we’ll call it a food) people ask me about on the regular. And every other week there is another headline proclaiming coffees miraculous benefits or demonizing its existence. So where does GBW stand and what do I recommend? After recently leading a 21 day detox program, it’s clear to me, coffee shouldn’t run our lives! After slowly weaning off the coffee, the detoxers couldn’t have previously imagined just how much energy they would have without their morning joe. And energy that was long lasting, with a clear mind. 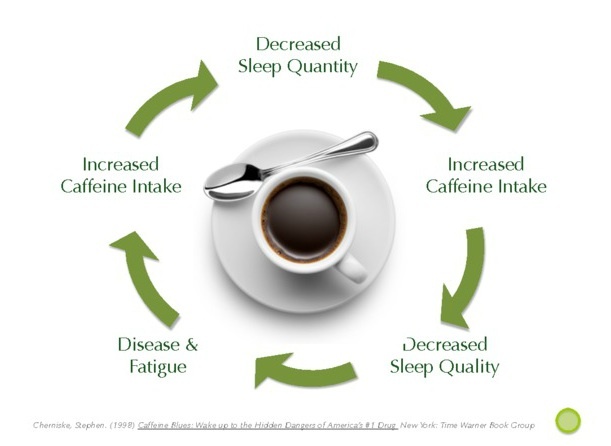 Habituation to caffeine decreases insulin sensitivity (i.e. more insulin in your blood- remember what insulin does… see above), making it difficult for your cells to respond appropriately to blood sugar. High blood sugar levels lead to arterial deterioration and increased risk of mortality related to cardiovascular disease. Unfiltered coffee has the highest amount of beneficial antioxidants yet also leaks the most diterpenes into your system. These diterpenes have been linked to higher levels of triglycerides, LDL and VLDL levels (colloquially: bad cholesterol). Associative addictions trend with coffee — who doesn’t immediately think of warm, frothy sweet cream and sugar (or um hello – baked goods!) when they picture coffee? Surely the business of coffee has inspired a culture addicted to the sugary, fatty tastes of what has become more of a meal than a drink! That morning latte is the epitome of food lacking nutrition density yet packing energy! It’s a wise experiment to provide yourself a break from coffee intake and see what it feels like to live your life on your own fuel. In the mean time – stay hydrated.